Matthew 1:18-25 "Now the birth of Jesus Christ was as follows: when His mother Mary had been betrothed to Joseph, before they came together she was found to be with child by the Holy Spirit. 19 And Joseph her husband, being a righteous man and not wanting to disgrace her, planned to send her away secretly. 20 But when he had considered this, behold, an angel of the Lord appeared to him in a dream, saying, “Joseph, son of David, do not be afraid to take Mary as your wife; for the Child who has been conceived in her is of the Holy Spirit. 21 She will bear a Son; and you shall call His name Jesus, for He will save His people from their sins.” 22 Now all this took place to fulfill what was spoken by the Lord through the prophet: 23 “Behold, the virgin shall be with child and shall bear a Son, and they shall call His name Immanuel,” which translated means, “God with us.” 24 And Joseph awoke from his sleep and did as the angel of the Lord commanded him, and took Mary as his wife, 25 but kept her a virgin until she gave birth to a Son; and he called His name Jesus." The purpose of this post is to simply compare what the Roman Catholic Church teaches in light of the New Testament. 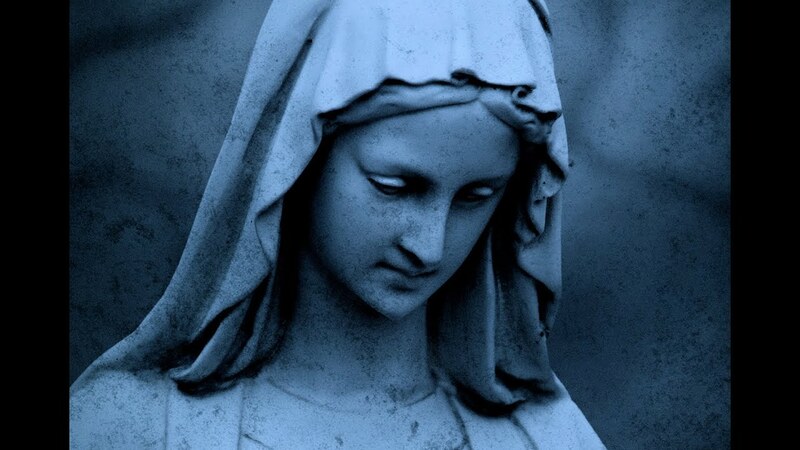 In as much as the Roman Catholic Church has much to say on Mary (much of which, as will be seen, differs from the New Testament), the one thing that can be said of non-Catholic Christian groups is that too-little is taught about Mary. It is hoped that in noting the various New Testament texts on Mary, both extremes (saying too much or saying too little) might be corrected and clarified. "The Church's devotion to the Blessed Virgin is intrinsic to Christian worship." The Church rightly honors "the Blessed Virgin with special devotion. From the most ancient times the Blessed Virgin has been honored with the title of 'Mother of God,' to whose protection the faithful fly in all their dangers and needs.... This very special devotion ... differs essentially from the adoration which is given to the incarnate Word and equally to the Father and the Holy Spirit, and greatly fosters this adoration." The liturgical feasts dedicated to the Mother of God and Marian prayer, such as the rosary, an "epitome of the whole Gospel," express this devotion to the Virgin Mary.” CCC paragraph 971. Does the Roman Catholic view match with the New Testament? Without a doubt Mary does play a special role in God's overall plan to bring His Son into the world. However, when it comes to feasts, prayers to Mary and the high devotion offered to her by devout Roman Catholics, what do we find the New Testament saying to such matters? Matthew 1:18-25, which we saw at the beginning of this post, asserts Mary as being the recipient of the angelic proclamation of the Savior's incarnation. The parallel passage in Luke's Gospel mentions Mary as well in Luke 1-3. As important as Mary is, we see no mention of such Roman Catholic doctrines as Mary's perpetual virginity, immaculate conception or any reference to her somehow functioning in a co-redeemer role. If anything, Mary, like other believers and non-believers for that matter, needed a Savior. In John 2:1-11 we see Mary appearing at the Wedding of Cana - the scene of Jesus first public miracle. It is in John's account of this first miracle that we find Mary receding into the background. Other passages involving Jesus' public ministry such as Matthew 12:46 and Mark 3:21,32 present Mary playing an ever diminishing role in comparison to Jesus. By the time we arrive at the crucifixion scene in John 19:25, we find Mary standing with the Apostle John at the feet of Jesus. Just like everyone else, Mary is beholding Jesus as the Savior. We never see any sense in which Mary is made an object of devotion, a co-sharer in Christ's redemptive work nor receiving prayers. The final time we see Mary is in Acts 1:14. Out of all the places the New Testament would have a chance to elevate Mary, surely it would be in the Book of Acts. Yet, Mary is mentioned but in passing and we never see mention of her again in the events of the early church reported in the Book of Acts. "Hail, Mary, full of grace, the Lord is with thee (you). Blessed art thou (are you) among women, and blessed is the fruit of thy (your) womb, Jesus. Holy Mary, mother of God, pray for us sinners, now and at the hour of our death. Amen." Such a statement developed over centuries of post-biblical church tradition. In Roman Catholic teaching, the church and its traditions are viewed as equal in authority to the Old and New Testament scriptures. Such practices as the Rosary are considered appropriate - on the Roman Catholic view. Yet, whenever we look at the practices of the early Christians within the New Testament (as observed in the texts above), we find consistent devotion to only one Person - the Lord Jesus Christ, and His equality to the Father. There are all sorts of statements regarding worship and praise to One God revealed in the three Persons of the Father, Son and Holy Spirit. However, we do not find any such statements with respect to Mary. A. Mary was never an exalted figure, but was shown respect due to her carrying the humanity of the Lord. B. Second, despite her special role, Mary's influence diminishes with every appearance in the Biblical record. C. Third, Mary passes off the Biblical record in quiet obscurity. D. Fourthly, the Apostles and early church leaders never sanctioned feasts, celebrations or devotion to Mary. Thus, when compared to Roman Catholicism, the Bible paints a different picture from the teaching and theology espoused by the Roman Catholic Church. In the quotations from Roman Catholic sources concerning Mary, we find a highly venerate woman, receiving prayers and occupying a central role in Roman Catholic devotion and practice. Mary's role certainly was important in God's plan of redemption, since she was the vessel through which the humanity of the Lord Jesus Christ would be conceived by way of the virginal conception by miracle of the Holy Spirit. Nevertheless, Mary was also in need of a Savior, just as much as all other human beings. We must be sure not to say too little about Mary, nor say too much and exalt her to a level that is inappropriate nor detracting from the Person and work of the Lord Jesus Christ. May we focus on Jesus and seek to know Him (Hebrews 12:1-2).